Work to restore heat and hot water to thousands of residents in Massachusetts who lost services because of natural gas explosions will continue on Thanksgiving, Columbia Gas said Thursday. The utility behind the September explosions that rocked Merrimack Valley north of Boston confirmed it will have "some" contractor crews working next Thursday, though company spokesman Dean Lieberman declined to say how many. The company had planned to give workers the day off, but Lawrence Mayor Dan Rivera publicly urged them to press on. After the utility answered Rivera's call, he tweeted, "Every meter re-lit matters!" The utility announced earlier this week that it will provide 20,000 hot Thanksgiving dinners to residents who have still not returned to their homes, including those staying in temporary trailers set up in three communities near the New Hampshire state line. The snow and cold are especially unwelcome in Merrimack Valley, where many still don't have heat after September's gas explosions. The Sept. 13 explosions killed one person, injured dozens of others, damaged or destroyed more than 100 homes and left thousands without natural gas service as winter set in. The company said that as of Thursday, more than half of the 7,500 residential gas meters affected and 70 percent of the 685 business meters were restored. 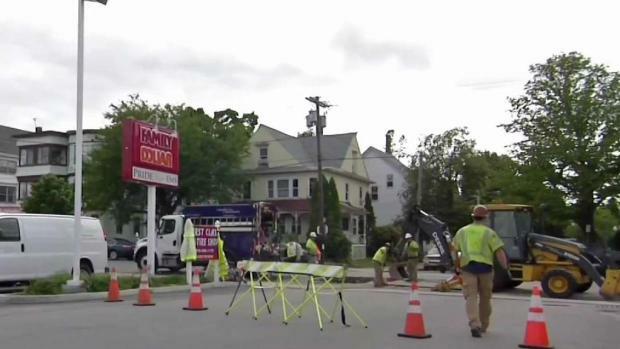 Columbia Gas had hoped to restore natural gas service to the affected communities of Lawrence, Andover and North Andover before Thanksgiving, but it recently acknowledged it won't meet that deadline. The utility now hopes to have the work completed by mid-December. "We continue to beat our daily goals of homes that are made ready to receive gas service," Leiberman said. "We are working around the clock to bring the timeframe forward as much as possible." 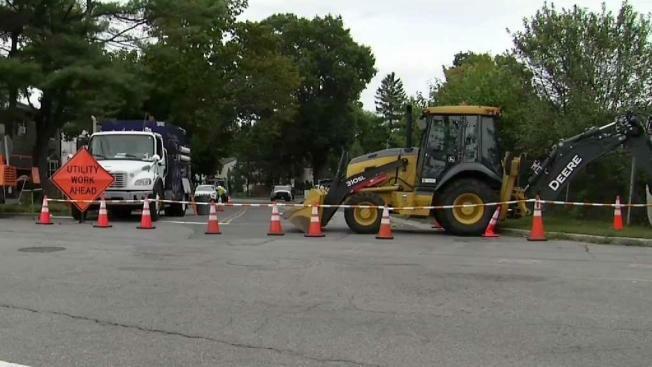 Columbia Gas brought on additional contractors in recent days to speed up the painstaking process of going door-to-door replacing boilers, hot water heaters and other appliances and equipment damaged in the incident, Leiberman said. The company has more than 1,705 workers, including 910 plumbers, on site this week.